JAN: I've been practicing yoga a lot more diligently lately, and my instructor was trying to interest me in a teacher/training program. I really, really like my instructor, so I was mulling it over. But when I asked her how one makes the leap from teacher/training graduate to actual yoga instructor, she said, "Don't worry about that. If you think positively, it'll all work out. It's the Law of Attraction." The Law of Attraction, for those of you who missed it, was the key concept of the bestselling book The Secret by Rhonda Byrne. Little did my yoga instructor know, I hated that book. I declined the teacher/training course. Not that I'm against positive thinking, but The Secret was telling its readers that they could solve all their financial problems by just "visualizing" a big fat check being mailed to them for no apparent reason. And then their positive thoughts would "attract" the big fat check, and it would, for no apparent reason, turn up in their mailbox. And yet...I know positive thinking works in some situations. For instance, I always play a better game of tennis when I visualize winning the point in advance. So the question is this: When is visualization useful, and when is it just plain balderdash? My favorite blog, PSYBLOG, answered this question for me just this week, and I'm going to apply its findings to writing. According to the study quoted in PSYBLOG, visualizing an outcome can actually screw you up. And fantasizing about wild success works against you. That's because it's a human characteristic to assume that everything is much easier than it actually is. Even with years and years of experience, we simply don't anticipate how much of any plan can go wrong or how much work may be involved. Just dreaming about the goal may actually reduce performance. In other words, writers.... fantasizing about what you are going to say about your book on Oprah before you've actually finished the first chapter is counter productive. Accepting your Oscar while signing up for your first screenwriting course may make you skip important lessons. BUT.... visualizing the process of getting to the goal can be useful. In one study (Pham and Taylor, 1999), students were asked to either visual the ultimate goal of scoring high in an exam, or visualize the steps they would take to get that high score. The students who visualized the steps scored way higher, partly because the visualizing helped focus their attention on what exactly needed to be done, and partly because the visualization helped reduce anxiety about the process. The students who just visualized the high score dreamed more and studied less. So I think the moral of the PSYBLOG story for writers might go like this: We might spend our visualizing time more wisely if we visualized the parts of writing that we can actually control. This may mean visualizing ourselves writing through that impossible scene. Visualizing ourselves through the difficult middle, and after that is completed, feeling more confidant we will come up with a clever end. Visualizing the tough process of querying agents or dealing with questions or concerns from editors might help, too. And when the book comes out, we might visualize making time for all that promotion on the web and at bookstores, libraries and conferences. As for me, I decided to visualize spending less time on yoga and more time on research for my next book. And right now I've got to about twenty difficult pages to finish what I hope is the last draft of my novel, so I'm off to visualize myself going over those pages with a fine tooth comb. Anyone have any other ideas about what we might visualize? Right now I'm visualizing myself getting on the train at 6am to go to Virginia Festival of the Book. It isn't pretty. Seriously, sometimes I look at my too-full schedule and think "why did I commit to all of these things?" But then I do visualize checking them all off my mental list, and everything happens. Sometimes not always according to schedule, but eventually! I've used visualization for sports -- that's how you sink three-pointers on the basketball court and make long putts on the golf course -- but I'm having trouble picturing successful writing. Sitting at the computer, typing away with a cup of coffee by my side, looks pretty much the same as answering emails or playing Mafia Wars. Should there be a different expression on my face? Rosemary: Visualize all those smiling fans, signing that stack of books. YES. Definitely. A visualization expression. We all need that. In fact, that's what I'm going to call my spaced out expression from now on! Have fun Ro. Visualize lovely weather!! Although its actually lovely today even up here in Boston! I like your post, more people need to hear what you had to say as some are so easily led and waste good energy trying to materialize something that can't exist. KAYE BARLEY! You're the winner of yesterday's drawing for a copy of COME AND FIND ME. Kay,please, go to my web site and email me with your mailing address. And thanks for commenting! I confess, I visualize disaster... That way I'm never disappointed. Maybe this has to do with being Jewish? Make that ALMOST never disappointed. So glad to hear it. Yes, I agree. 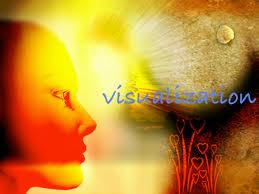 Visualization can be very useful healthwise. I just think that to be a writer, we have a tendency toward fantasy that can be..... well, a bit counterproductive.....at least for me! Ha. I sold insurance for nine years, which also meant nine years of rah, rah sales conferences and motivational conferences. 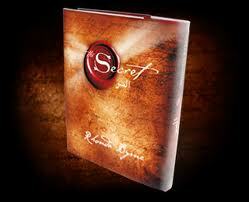 The Law of Attraction is an old, old--nearly 100 years old--idea. The author of the so-called "Secret" purloined it from good old Napoleon Hill, who first wrote about it in 1928, in his book "The Law of Success in 16 Lessons". Personally, I liken visualization to prayer, as in all prayers are answered, it's just that sometimes the answer is "no". While it's good to have goals and to picture yourself in certain situations and outcomes, nothing replaces the hard work you have to do in between the visualization and the eventual consequence of your work. It does work for public speaking, though, and other performance situations, as Jack mentions. Boy you hit the nail on the head with that blog, Jan. I love yoga and practice it 5-6 days a week but hated the Secret too. Just visualizing the end doesn't work (okay, it does a bit for long putts but I prefer to "feel" it). Now I visualize my characters, what they're feeling and where they are. And what they figure is right to do next, of course. My ditzy hairdresser read this book and instead of saving money for his mortgage, decided to go to the bars and visualize a big check landing in his mailbox. He ended up with a repossessed house and a DUI. EXACTLY!! 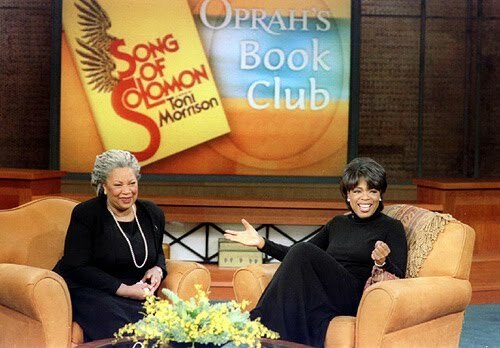 That book was dangerous because it told people what they wanted to believe. Karen in Ohio - Yes, that makes sense. Usefulness is performance-related as opposed to directing distant events! But but but... I often go into an event that has me terrified, like a talk I'm about to give, and psych myself up by envisioning hitting all my marks and makin' em laugh. It calms me down, and it certainly doesn't hurt. Does anybody else have trouble imagining Hallie terrified over ANYthing? But I must say, I use visualization a lot in doing news stories..it's probably more like "playing it out" in different ways..but you have to envision what might happen, and then plan from there. It's amazing how much more we know than we think we know. Yes, Austin, Hallie does a great job of LOOKING supremely confident. Who knew there were all those disaster scenarios going on underneath? Just visualizing having a finished book is absolutely useless. We may wish they would write themselves but unfortunately they don't. What does help is having a plan, both long and short term. It helps me enormously if I will map out exactly what I need to work on the next day before I go to bed, and make myself a schedule even if I'm going to be home working all day. And then, of course, to set intermediate goals--outline by this date, this many pages by this date . . .I very seldom make my self-imposed markers, but without them I doubt I'd ever have more than a blank page and a "good idea." Laura, so glad you are okay!!!!! Visualization definitely helps with sports. My son used to be a champion swimmer. I'd sit quietly and swim the whole race in his head perfectly. Then when he really swam it, his body already knew what to do. And a positive attidue never hurt anyone. Think of Mr. Micawber. Something did turn up for him. Now I need this to work for my daughter whose temporary job has now come to an end and has had 3 years of being unemployed. I'm visualizing someone reading this blog and offering her a job! I'm with you. Hallie's just teasing us. Yes Laura, glad your news was better than it could have been! What I've read is that it's a good idea to visualize a big goal--like posting the NY Times bestsellers list on the wall behind my computer. Then forget about it, and map out the small steps that I can control--like writing 1000 words a day until a book is done. So the big goal is something for the unconscious mind to shoot for, but all the little steps are conscious. This is definitely true for professional golfers--very few can make a crucial putt thinking "this win will mean everything for my career". But having the win as a goal, allows the athlete to figure out what needs to be done to get there. I really appreciate the distinction between visualizing a dream, which I've heard so much about,and visualizing the process. If visualizing myself successfully writing through difficult pages helps me work better, I will seriously consider adding it to my practice. Will the World be Taken Over By Technology? Promotion: That's What Friends Are For! We are Working Hard. Really.